5 Reasons Why You Need To Hire Professional Movers When Moving Out! 09 Jan Supreme Man With a Van: Why You Should Leave Moving To The Professionals? So why you should just pick up your phone and call a moving company like ours instead, here are some great reasons to convince you. At Supreme Man with a Van, we have the best staff and drivers to help you with the move. They are efficient, highly-trained and experienced to handle just about anything. This experience comes in handy when there includes piling of boxes and setting them up according to their weight and fragility. Since you must have already invested your valuable time in the process of packaging, why add to that with multiple trips back and forth? It will only add to your stress levels and waste more time. After all, you will have to unpack all the boxes later and set up your home like you wish to too. 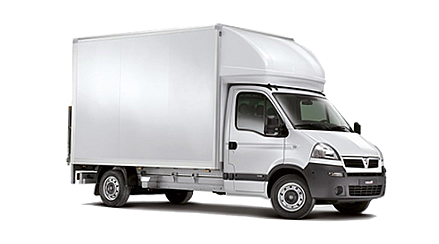 One of the biggest perks of hiring man with a van is that you will cut down on the number of repeated trips that you will have to make to get everything from one place to another. Since we offer rental trucks that can easily carry more weight than a car, you will get everything in less time to your new house. Not to mention, you will eliminate the driving which is enough to trigger stress. Thus you will save both time and energy. At Supreme Man with a Van, we offer reliable interstate moving, so no matter how near or distant this new home of yours is, we will get everything there in a timely and stress-free manner. Our moving company offers different packages that cover the items to be moved. So even if by any chance, something does get damaged, it will be us who will pay for it since you insured its safety with us. This is another advantage with moving companies. If you choose to move your belongings yourself or in a friend’s truck, you will have to pay for any damage caused. This might make you go overboard your set budget and cost you more. Don’t have too much stuff you wish to transport into your new home? We have a smaller truck for that! With moving rental truck firms like ours, there is always the option of renting a truck based on the load you wish to carry along. So if you didn’t want to pay for a big truck when you only have a few essential items to move, we offer you the ease to book a smaller truck in its place. Choosing the right truck size is important for two reasons. First, you will save money and second, all your belonging will sit snuggled with one another rather than at a fair distance which increases the chances of toppling and damaging goods. Well, professional movers are professionals after all. We ensure that our clients don’t have to worry about the stress of moving. From loading to unloading your belongings into your new space, you can leave it to us to care for it. Doesn’t that give you some peace of mind? It certainly does! No matter where you are, we will be happy to serve you. Currently, we are operating in a number of states including Brixton, Enfield, Ilford, Balham, Brimley, Fulham, Hackney; West London etc. which mean you will have with you a team of professionals all throughout the moving journey whom you can trust. To request a free quote, simply provide us with details about yourself and when you plan to move and we shall get back to you promptly or call us on (+44) 0203- 752 5238 to book an appointment.